These Lime wood Christmas trees are imported from Moscow and then hand-painted to include a customised detail and lacquered, so no two are the same. 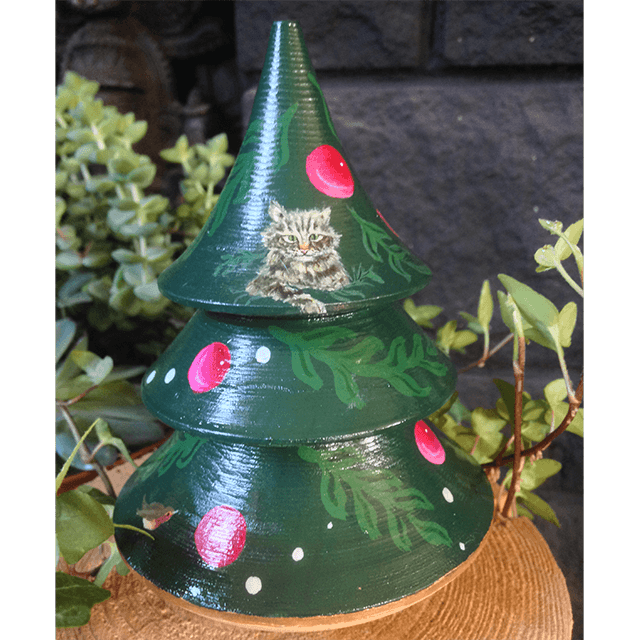 These Limewood Christmas trees are imported from Moscow and then hand-painted to include a customised detail and lacquered, so no two are the same. 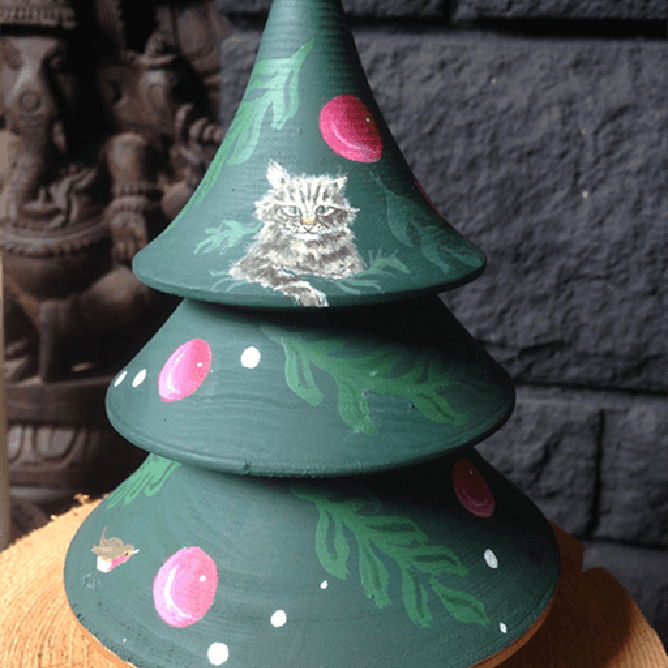 See a little friendly family kitten added to this Nevalyashka Christmas tree. An unusual type of Matryoshka sometimes known as a Chime Doll or Nevalyashka. These Lime wood Christmas trees are imported from Moscow and then hand-painted and lacquered, so no two are the same. Within them is a beautifully mellow sounding bell that chimes gently as they rock from side to side. They are rounded at the bottom and weighted so that they may rock without ever falling over. Now a collectable item, Chime dolls were originally traditional toys. They taught children from an early age to never give up, to stand up after each fall, always look for love, light and recreation. The Christmas trees – as well as other Nevalyashkas – can be customised to your own specifications. Add your family pet or hide some named Christmas presents under the tree. Create your own heirloom – the only limit is your imagination. Let us know in the additional information box at checkout! Living in a small cottage in the middle of nowhere I am surrounded by a kind of spacious peace from where creativity naturally springs. The sounds of river-song and bird chatter creep through the windows to join with the crackling of the fire, forming the soundtrack to my days and nights. Accompanied by a bottomless teapot and my faithful four-legged companion, little bits of magic crawl out from a paintbrush describing other lands.